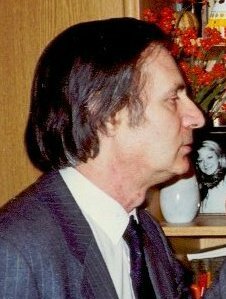 Noted, above all, for his hallmark "polystylistic" idiom, Schnittke has written in a wide range of genres and styles. His Concerto Grosso No. 1 (1977) was one of the first works to bring his name to prominence. It was popularized by Gidon Kremer, a tireless proponent of his music. Many of Schnittke's works have been inspired by Kremer and other prominent performers, including Yury Bashmet, Natalia Gutman, Gennady Rozhdestvensky and Mstislav Rostropovich. Schnittke first came to America in 1988 for the "Making Music Together" Festival in Boston and the American premiere of Symphony No. 1 by the Boston Symphony Orchestra. He came again in 1991 when Carnegie Hall commissioned Concerto Grosso No. 5 for the Cleveland Orchestra as part of its Centennial Festival, and again in 1994 for the world premiere of his Symphony No. 7 by the New York Philharmonic and the American premiere of his Symphony No. 6 by the National Symphony.